En route from Gemiler to Kas. Some of the party were in the shade around the big dining table, some were on cushions at the stern, others were on the foredeck. 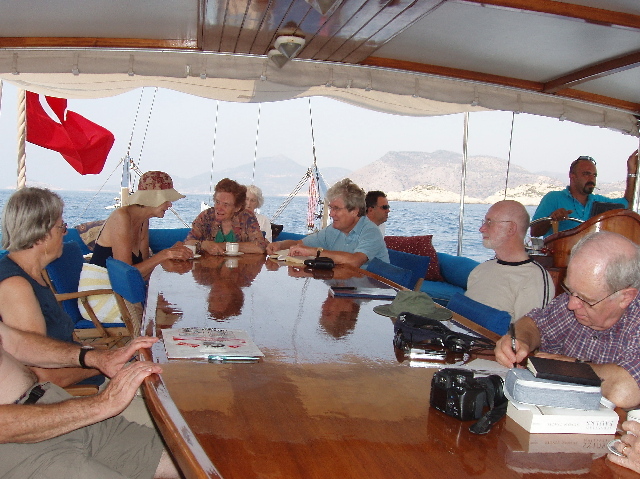 When we arrived in Kas bay we moored, swam, had lunch, then went into Kas harbour to visit the theatre, tombs, etc.